Over the objections of players, MLB hopes to implement a pitch clock and tighter restrictions on mound visits this season, as first reported by The Athletic’s Ken Rosenthal and then in greater detail by Yahoo’s Jeff Passan. The league is planning for a 20-second pitch clock, regardless of whether or not any runners are on base, with the clock able to reset if the pitcher steps off the rubber. A pitcher will get one warning per game for violating the clock, and he’ll be penalized with one ball per violation after that. As for mound visits, any trip to the mound by a manager, coach or player—or trip off the mound by a pitcher to talk to another player—will count as a visit, and a pitcher must leave the game after the second such visit in a single inning. The league additionally wants a 30-second timer installed between batters. Each of these measures is a little harsher than the corresponding versions that the league initially proposed last year: the originally asked for a pitch clock that would have disappeared when runners were on base; each team would have received six no-penalty mound visits per game, able to divide those up among pitchers and innings however they chose; the timer for batter changes would have been 35 seconds. 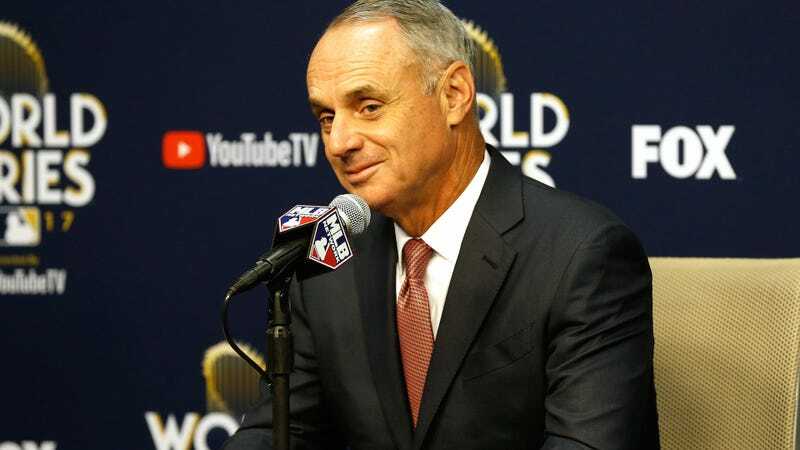 The league’s reported insistence on the changes is another sign of its focus on pace of play as one of the biggest issues facing baseball, a focus that continues to feel weirdly disproportionate to the subject itself. It’s true that games are getting longer—an average time of 3 hours and 8 minutes last year, as Passan notes—and that dead time, such as constant mound visits and pitchers taking insanely long amounts of time between pitches (ahem, Pedro Baez), can be one of the more frustrating parts of that. These changes should offer a slight fix there without too fundamentally altering the fabric of the game, at least from a fan’s perspective; the pitch clock has been tested in the minor leagues for several years now, and it’s generous enough that it doesn’t feel so much like imposing a high-pressure time limit on a sport famously free of such things as it does a simple way of skimming off the most egregious offenders of a practice that many fans already dislike. Through that narrow lens, these changes make enough sense. Officials estimate that the pitch clock, in particular, could save something in the neighborhood of 10 minutes per game. But at what cost? Players don’t want this, and it sounds like they’re pretty unified on that. The state of the free-agent market this winter has already strained the player-league labor relationship; the league pushing these moves through unilaterally, in a more drastic form than previously proposed, can only make that worse. That’s worth 10 minutes? Shaving 10 minutes off each game will likely not gain baseball tons of new fans or vastly improve the game’s reputation with millennials or do any other such thing. (Though there are certainly measures that the league could take for more meaningful gains in those areas, like doing a better job of marketing their exciting crop of young stars or putting a bigger emphasis on social media.) 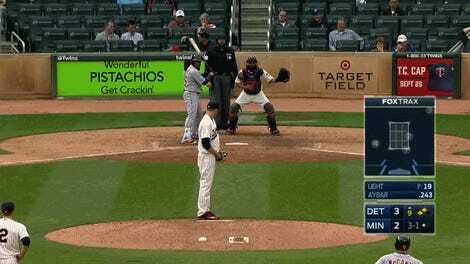 People who have always found baseball boring will probably not now think, oh, a pitch clock? count me in! These pace-of-play changes might endear the league slightly to some existing fans—they’re fine, or at least mostly fine—though they’ll probably piss off others, and they’ll certainly piss off players. And that, apparently, is worth 10 minutes.